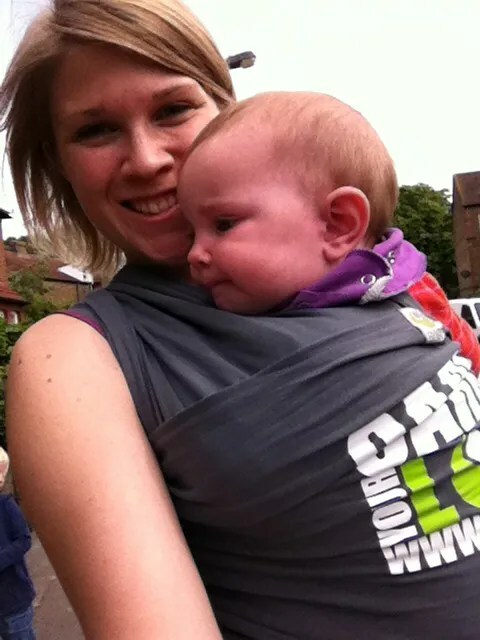 The South London Sling Library was founded in June 2011 by Emily, mum to 2 and experienced Babywearing Consultant. The Sling Library is an entirely self-funded service that Emily set up because she is passionate about helping all parents carry their babies! With very limited resources she started very small and SLSL staff still run all services to fit around looking after our own children. In 2016, Sarah started working alongside Emily, & in 2018, as Emily moved on to other things, Sarah bought the Library & has continued to support parents & families around South London. Our regular Workshops have became very popular and we’ve gradually been able to build up our resources; we buy new slings and carriers whenever we can afford them, and undergo additional training to expand the range of products and services we’re able to offer. The SLSL is a very small organisation, but we are knowledgeable, very experienced and enthusiastic! We aim to provide easy-to-access expert information about safe, comfortable babywearing and baby carriers to as many people as possible. Find out more about How We Can Help you with slings and baby carriers. We also run our Helping Hands Scheme for families on a low income, to benefit from a free baby carrier. More information on accessing the scheme, or how to donate a carrier in excellent condition, can be found here. You can read some comments from users of our service on our Facebook page. For more information about baby carriers and slings, go to the Sling Info page. We’re also happy to answer any specific questions by email if we’re able to. The Library is open to any parent or carer who’d like help with carriers and slings (whether you’re from South London or not!). If you have any further questions about the SLSL and the services we offer, please email info@southlondonslings.co.uk.